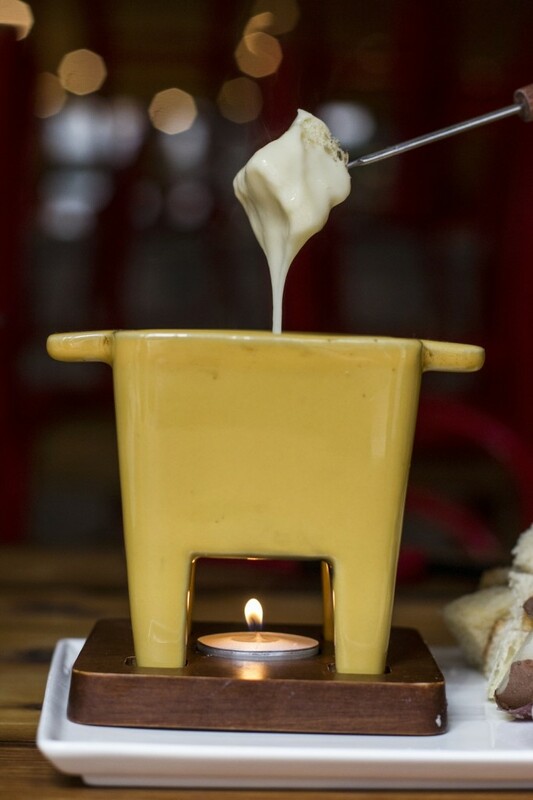 As temperatures drop (and drop and drop), we like to eschew the polar vortex and curl up ’round a nice fondue pot full of our favorite ooey-gooey melted cheeses, dunking everything in sight (things like hot chorizo, fingerling potatoes, and hunks of baguette) into silken strings of dairy goodness, finishing off each bite with a bright, briny cornichon. Get the recipes below—from classic to daring– bubblin’ in your melting pot. 1.Sprinkle one teaspoon of salt in the bottom of a small saucepan. 2.Cut garlic clove in half and rub the inside of the pan, starting at the salt. 3.Heat the wine on medium-high just until boiling. 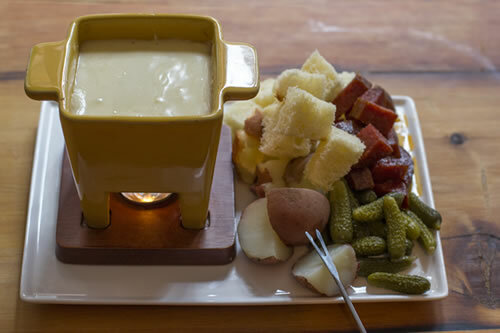 While the wine is heating, combine the cheeses and toss with cornstarch until evenly distributed. 4.Gradually add the cheese a half a cup at a time, whisking constantly until melted and smooth. 5.Add lemon juice and whisk until incorporated. 1.Remove the rind from the Ardrahan and cube. 2.Grate the Murray’s English Cheddar and toss both with the cornstarch. 3.In a saucepan, heat the beer, garlic, hot sauce and cayenne pepper to a simmer. 4.Gradually add the cheese a half a cup at a time, whisking constantly until combined and emulsified. 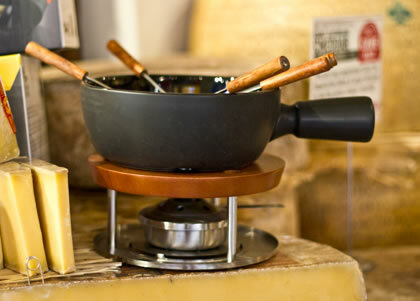 Check out our fave cheeses and accompaniments you just can’t fondue without this season. Happy melting!